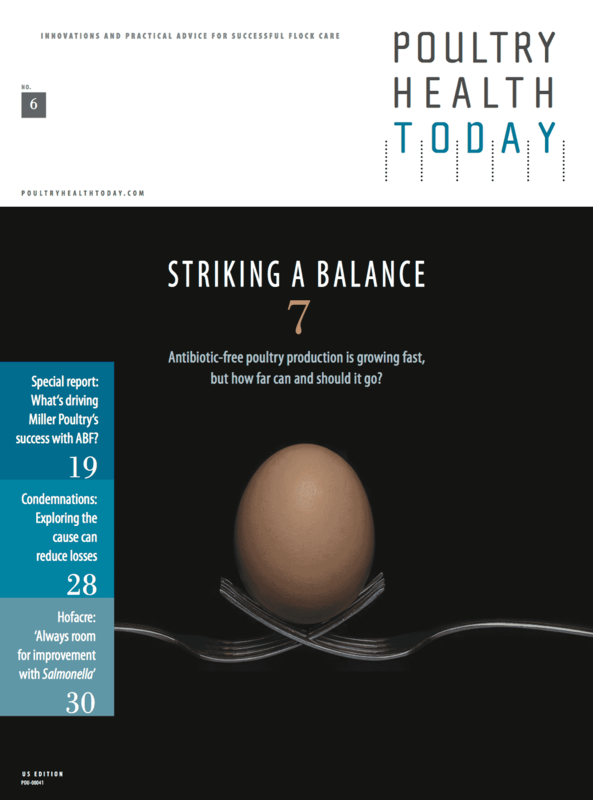 The US poultry industry has already shown that it knows how to use antimicrobials judiciously. Whether the goal is to preserve the effectiveness of the limited tools available, to simply reduce feed costs or to avoid having poultry meat products rejected by vigilant government inspectors, poultry producers have ample incentives to abide by the rules and make every dose count. Using anything excessively or needlessly simply doesn't pay. 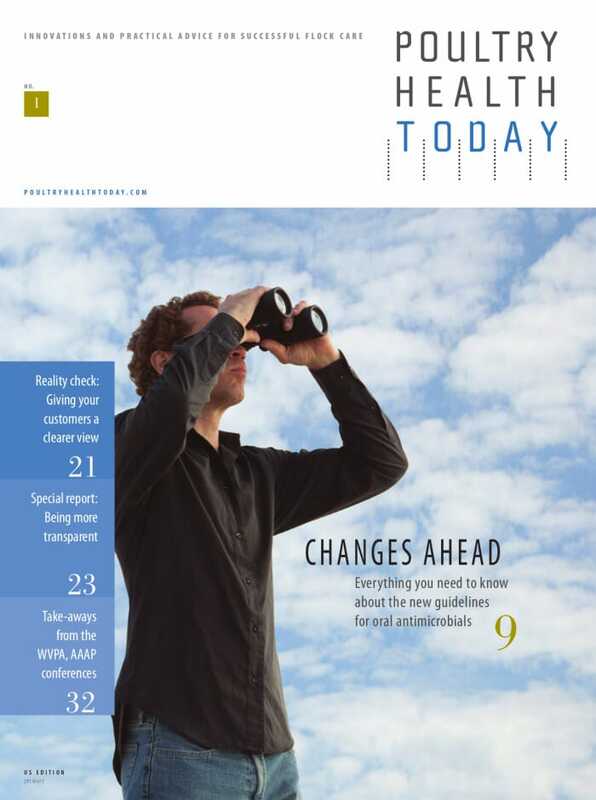 So what impact will Fda's new usage guidelines have on your production practices, the health and performance of your birds and perceptions of health-minded yet cost-conscious customers? 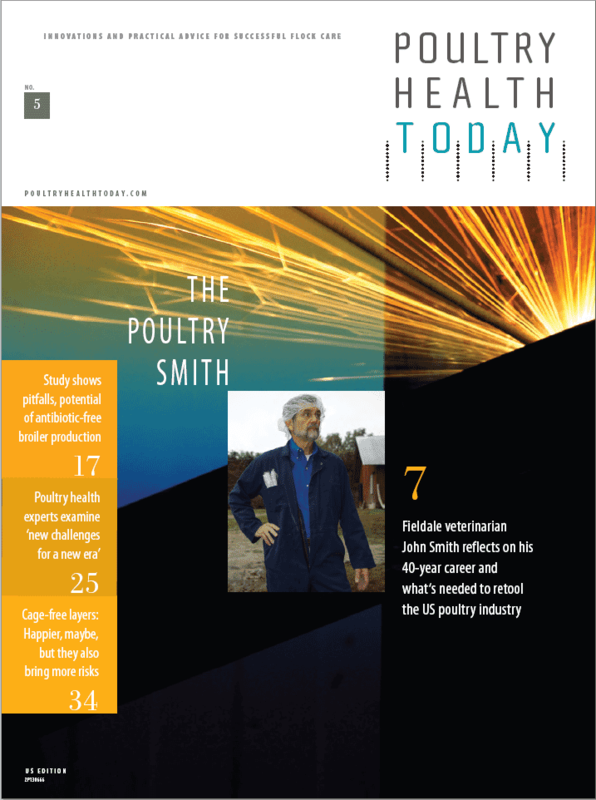 In this special report, Poultry Health Todayeditors take an in-depth look at what Fda calls guidance for industry no. 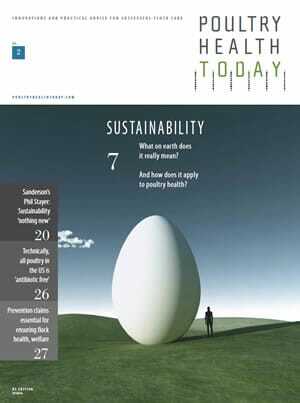 213 - the rationale behind it and the changes in store for the US poultry industry. FDA recently rolled out new guidelines for antimicrobial usage in poultry and livestock - not just how the medications are categorized and prescribed but also how, when and why they should be administered in the field. The two documents, officially known as Guidance for Industry (GFI) No. 213 and a proposed Veterinary Feed Directive (VFD) regulation, aim to help producers, veterinarians and pharmaceutical companies use antimicrobials in ways that, according to FDA, address public health concerns while maintaining the health, performance and welfare of poultry and livestock. Although GFI 213 is written primarily for drug "sponsors" - those companies that own the right to market the drug - the content of the document will inevitably affect everyday management practices for veterinarians and producers. The updated VFD regulation is intended to simplify and streamline the existing process for veterinarians to authorize the use of certain animal drugs in feed. For the good of the industry, everyone is being encouraged to play by the rules or, in this case, the FDA's strongly recommended guidelines. More than anything, FDA wants the poultry and livestock industry to think twice before orally administering any antimicrobial drugs that have been deemed "medically important" to humans. In other words, any drugs that are considered important for treating infections in people - penicillins, tetracyclines, fluroquinolones and macrolides, to name a few - should be used sparingly in animal feed and water and only to target specific diseases or organisms. FDA also wants producers to consult with veterinarians before using any medically important drugs. Under the new guidelines, for instance, producers should first get a confirmed diagnosis and a veterinary prescription or a VFD from a licensed veterinarian before running any of these medically important medications through the birds' drinking water or feed. A VFD is a written form issued by a licensed veterinarian authorizing the use of certain drugs in feed for a specific reason and time period. This document is provided to both the feed mill and the producer (see sidebar). In addition, FDA wants medically important drugs administered in feed and water to be limited to the treatment, control and prevention of disease. The agency acknowledges that improved growth and feed efficiency might be secondary benefits of maintaining healthier birds, but using medically important antimicrobials solely for production benefits is not considered a judicious use of such drugs under the new guidelines. FDA is also urging drug companies to remove performance claims from all medically important antibiotics within 3 years of GFI 213's adoption. There are two notable exceptions to the new FDA guidelines that poultry producers and veterinarians need to understand. The phrase Veterinary Feed Directive (VFD) may be new to poultry veterinarians and producers, but the process has actually been around since 1996, when Congress passed the Animal Drug Availability Act. VFDs were developed by FDA to help the agency get a better handle on the use of certain new, therapeutic antimicrobial medications used in feed, primarily to reduce the rate at which resistance develops and thereby prolong medication's effectiveness. Previously, VFD only applied to new feed antibiotics. Any over-the-counter (OTC) feed antibiotics registered before 1996 were grandfathered in under old rules. Once pharmaceutical companies remove production claims from medically important antibiotics, thereby placing them under VFD status, veterinarians will need to issue a VFD authorizing their use. Basically, the VFD is a written statement that lets producers obtain and use certain drugs in poultry or livestock feed in accordance with the FDA-approved directions for use. VFD drugs must be used under veterinary supervision and in compliance with the drug's FDA-approved label. The VFD process is pretty straightforward. In the past, a licensed veterinarian - one with a "valid veterinarian-client-patient relationship," as the FDA calls it - visited the farm, assessed the situation and determined whether use of a VFD drug was warranted. If the drug were needed, the veterinarian would issue a signed VFD order. Under the new guidelines, FDA has relaxed some administrative procedures with the goal of easing the shift from current OTC status to the new VFD umbrella. For example, rather than use a government definition on a veterinarian-client-patient relationship, the agency is deferring to AVMA practice standards - criteria that licensed practitioners use anyway - for defining relationships between veterinarians and their clients. 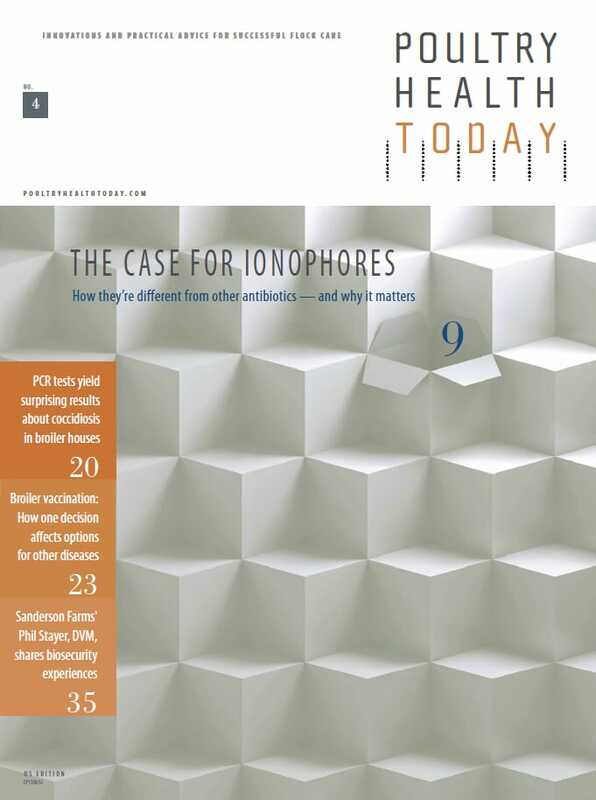 First, the new FDA recommendations do not apply to synthetic anticoccidials or ionophores used in feed to prevent or control coccidiosis - the costly, parasitic disease that threatens the health and welfare of all chickens. These compounds are not considered medically important to humans and are used almost exclusively in poultry and livestock. No special paperwork is needed to obtain or use these products. 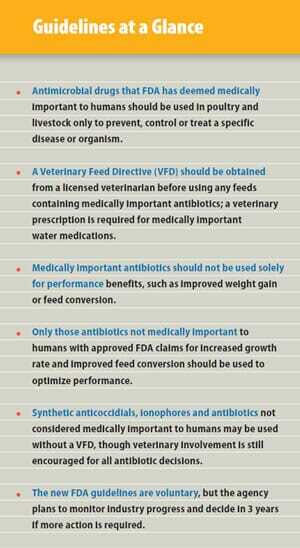 The other exception is any group of feed antibiotics that FDA does not consider medically important to humans. In poultry, this would include antibiotics in the bacitracin and bambermycins families (see sidebar). That means poultry products like bacitracin methylene disalicylate (BMD®) can still be used without a VFD to prevent or control necrotic enteritis, another omnipresent and potentially deadly gut disease of poultry, although veterinary involvement with any antibiotic is still recommended. When used at 50 g per ton of feed - coincidentally, the same level routinely used to prevent necrotic enteritis BMD can still be used for "increased rate of weight gain and improved feed efficiency," which result from the antibiotic's ability to preserve the integrity of the gut wall, helping to ensure the absorption of nutrients from feed.1 Flavomycin 4 (bambermycins) is another poultry feed medication that can be used without a VFD to aid feed conversion and growth rate. Previously approved combinations of anticoccidials, ionophores, bacitracins and other non-medically important drugs also may be used according to label directions without a VFD. While complying with the new FDA guidelines will be voluntary for drug sponsors, the agency says it will monitor the pharmaceutical industry's progress for 3 years before determining if further action is needed. "FDA believes a proactive and collaborative strategy is the best approach to ensuring judicious drug use, as this provides a path forward for addressing public concerns [about on-farm antibiotic usage] in a manner that takes into account animal-health needs and the impact on animal agriculture," said William T. Flynn, DVM, MS, deputy director for science policy at FDA's Center for Veterinary Medicine. Speaking at an antibiotic forum held last year at the International Production & Processing Expo, he added, "Antibiotics have historically played an important role in animal agriculture. Being responsive to the concerns being raised is critical to preserving the continued availability of these important tools." In FDA's Dec. 11 announcement, Flynn added, "We need to be selective about the drugs we use in animals and when we use them. Antimicrobial resistance may not be completely preventable, but we need to do what we can to slow it down." 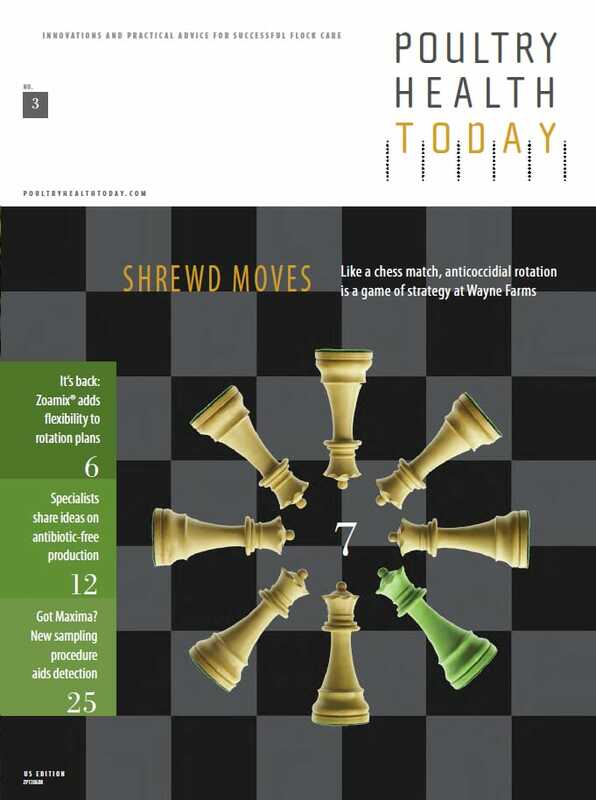 For more information on the new FDA antimicrobial guidelines, visit poultryhealthtoday.com or go to fda.gov and search for GFI 213. 1 Miller SH, Skinner J, Davis SW. Efficacy of Probiotic and/or BMD® in the Feed for Control of Necrotic Enteritis Caused by Clostridium perfringens in Broiler Chickens. Zoetis Global Poultry. Data on file.